A Mobile Notary’s Story: Is That A Snake In Your Briefcase? One of the benefits of living in rural Colorado is the abundance of wildlife. I never thought that some of that very wildlife would show up at a mortgage signing. I arrived at a borrower’s home recently for what I thought would be a routine notarization. As I began unloading the paperwork from my briefcase, I glimpsed a strange bright orange flash at the bottom. I saw a foot-long banded snake wiggling at the bottom. My borrower quickly searched on her computer to find exactly what type of serpent I toted to her home, and we determined that the snake was not poisonous. (I still don't know for sure what it was exactly – except scary.) I proceeded to take my briefcase outside and tried to shake the slithering snake out of my briefcase. Tapped my briefcase, hit it, even held it upside down with my apologies. No luck. I finally had to reach in and carefully pull the snake out of my case. After things settled down, the closing went as planned, but I couldn’t help wondering how that snake got into my possessions. I’ll never know for sure but decided to blame my four cats because they routinely drag critters around the house. That’s my best guess, anyway. Was I carrying that snake around for more than an afternoon? More than a week? These days, I check my briefcase far too frequently. I can attest that finding reptiles in your briefcase is still all in a good day’s work. 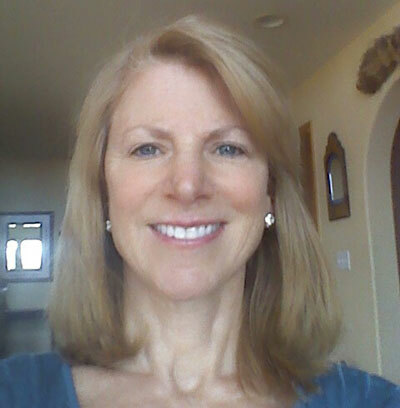 Michelle Brawley is a mobile Notary in Durango, Colorado. She can be reached at shellbee22@aol.com. Do you have a good Notary story to share in the Bulletin? Post your odd or interesting stories in the Comments section below. Oh heavens I think I would have fainted! You poor lady! How did you make it out of that!?! And I'm sure that you performed your notarial duties with grace, poise and professionalism after all was said and done, granted, a bit shaken. But we're trained that way, by our cats...oh yeah, and by NNA, too. Thanks for sharing. LOL! What would life memories be without these exciting things being tossed our way once in awhile? DULL! I am glad no one was weak of heart and you came out graceful and smiling! Guys, this is a true story. In retrospect I should have taken a picture of it in my briefcase, but that was not my priority at the time! I just did what I had to do. I often tell the story to borrowers and love to see the expression on their faces! I think it was a juvenile King Snake (Jerry thanks for that link). It's a real conversation starter. I have spent more than 20 years as a Notary. I never brought anything in, in my suit case. I'm afraid if that happen to me. I would have just had a heart attack and that would have ended my career. You deserve an Award for Bravery beyond the call of duty. Brave Lady! I would've left the briefcase outside, hoping the snake would go away by the time the signing was complete!!! I almost went back to the office with the borrower's cat in my big straw bag. The cat crawled in while we were working on the doc's. I threw it up over my shoulder and thought this bag is getting very heavy I need to downsize the contents when it moved....I looked in and saw the sleepy cat looking back at me. I have dogs that love to chase cats it would not have been to happy at my place.